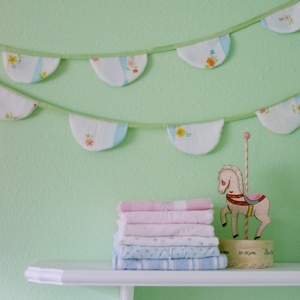 In searching for new baby gift ideas, I came across these adorable baby fabric garlands. 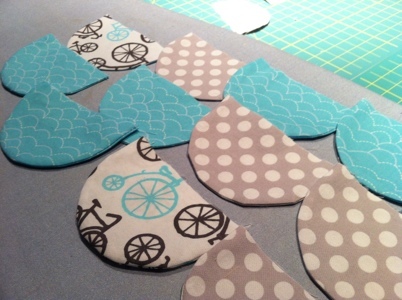 They are perfect for a nursery, crib, or my favorite…. 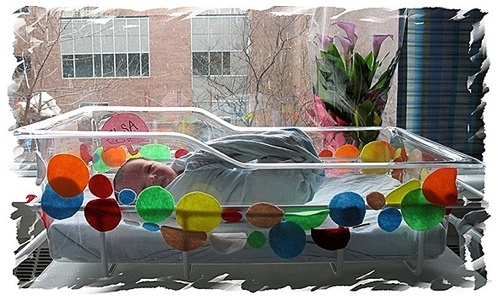 a hospital bassinet! 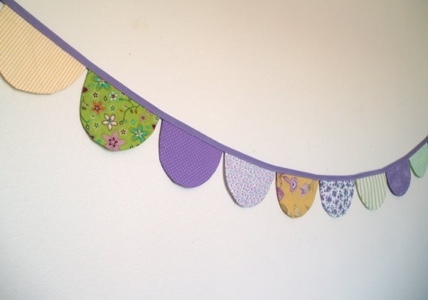 I LOVE these beautiful felt garlands! I imagine when I have more children, I will have something similar for our first few days together at the hospital. 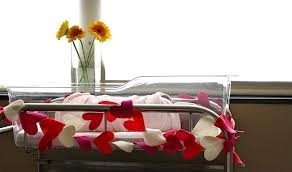 Why not make a baby feel welcome from the beginning! 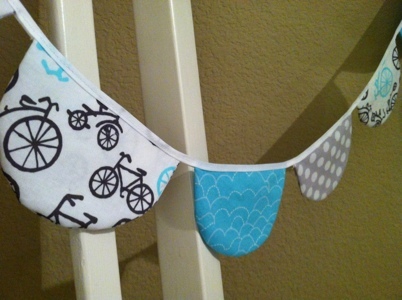 I decided I would try my hand at making a cute little baby banner out of some of my favorite fabrics. 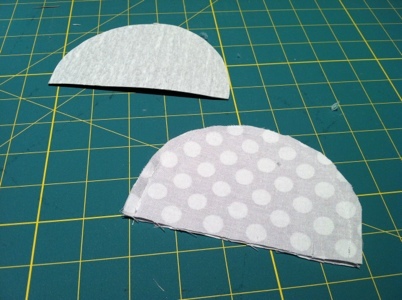 I cut some half circles using a template and sewed up the curved edges with wrong sides facing together. Turning all my little half moons inside out, I pressed them all nicely. 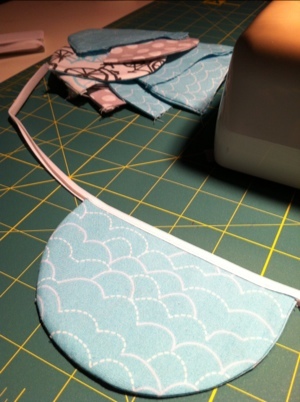 Using some fabric double fold bias type, I sewed each little scallop inside the bias tape layers. 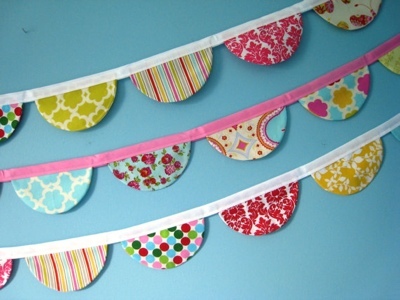 Just like that, I had my own baby fabric bunting! This project was surprisingly easy AND fast. 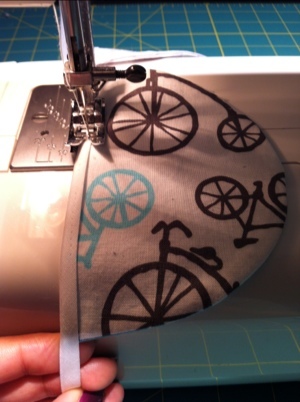 I was happy I could use bits of some of my favorite designer prints.